NOTE: full feature set available with NFT v7.63 and LigoDLB v7.63, RapidFire 7.60 or later. Added New user role – Guest Access Manager. Export Network clients to CSV file. Added Refresh button on Alerts page. Redesigned “Download Troubleshoot file” operation. Updated wireless clients manufacturers list according to http://standards-oui.ieee.org/oui/oui.txt. Updated EIRP values for countries (Egypt and Chile). Reserved VLAN ID 4094 for Guest Access. Disabled Firmware auto-upgrade feature on DLB/PTP networks. Fixed sorting on HotSpot profiles. Fixed displayed info for Monitor User. Fixed password change per network issue. Fixed maximum zoom in Maps. Fixed list of required fields on UAM profile. Fixed problem with “Waiting for device” status after moving device on the PTP network. Fixed problem when LigoDLB lost configuration after registering device to network by the MAC address. NOTE: full feature set available with NFT v7.62 and LigoDLB v7.63, RapidFire 7.60 or later. 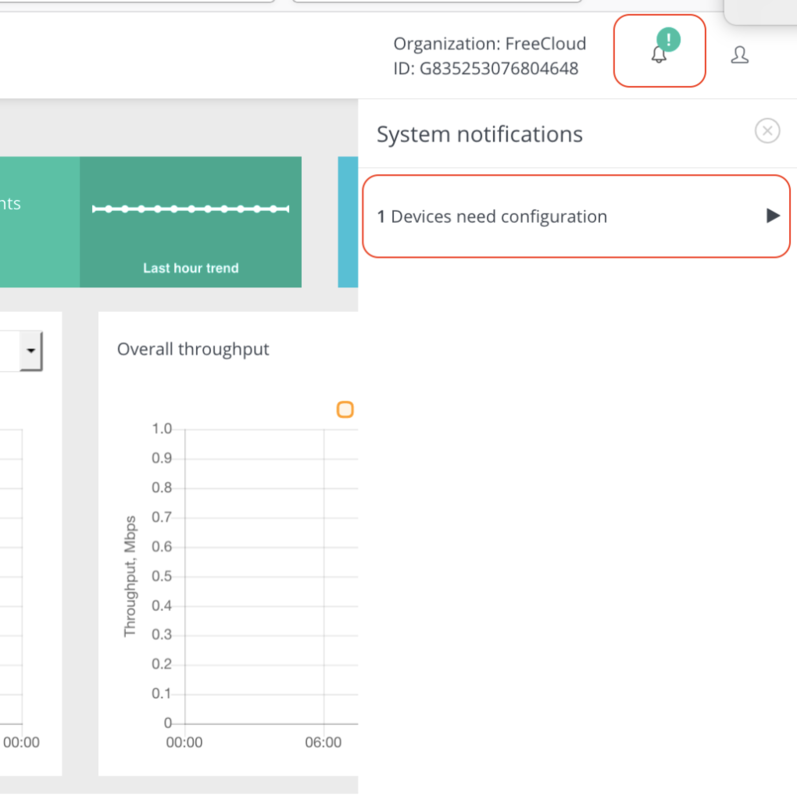 Added device alerts configuration and visualisation for DLB networks. 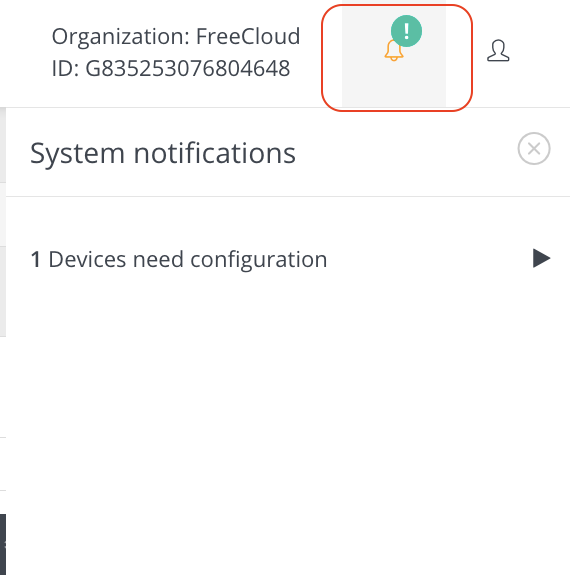 Added device alerts suppression for specified time per device (Maintenance mode). Added configuration of IEEE mode for NFT networks. Added max data rates configuration for DLB networks. Added NTP service configuration for DLB networks. Added limit legacy data rates for NFT networks. Added scheduled reboot on all network devices. Show signal level for all radio chains. Added radio mode (SISO/MIMO) control per device added. Allow to download or upload Hotspot profile as file. Save LigoDLB device IPv4/IPv6 static configuration on registration to the Controller. Parameter name unification “Session time”. Implement ACL logic in collector service. WiFi Analytics service allows to use third party data collectors. Lots of other small UI/UX improvements (styles, notifications, icons, data loading, form validation etc.). Network Management VLAN button defect. Fixed issue with “Operating Frequency” display on Spectrum Analyzer. Incorrect display of connected router’s MAC on HotSpot network. In DLB network running Spectrum Analyzer on Station device becomes unreachable. Fixed HotSpot profile: corrected newtork group selection rule. DLB ac device set radio mode to SISO after controller config update. Access Point starts “Site survey loop” when registering to the controller. 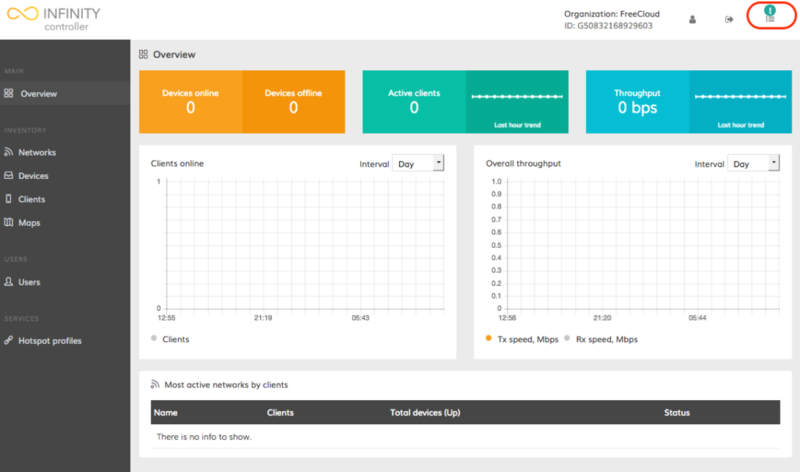 Corrected client graph time axis display in Network dashboard. Do not limit any VAPs with same VLAN ID. Incorrect auto firmware upgrade time in monitor view. OpenStreet maps max zoom does not show map. “DFS CAC active” status is missing. DLB show device name on Stations table. Fixed Hotspot network section DNS servers validation. Unable to move device with the status “Waiting for device”. NOTE: full feature set available with NFT SW v7.62, LigoDLB and RapidFire 7.60 or later. Hotspot profiles now have GUI with forms and validation. Make countries list sorted by country name instead of country code. Lots of small UI/UX improvements (styles, notifications, icons, data loading, form validations). Devices that have never been connected to the controller should be hidden in Firmware management list. NOTE: full feature set available with NFT SW v7.60-1, LigoDLB and RapidFire 7.59 or later. Added monitoring modes for LigoDLB and RapidFire networks. Implemented multi-channel option for the channel list configuration. Added wireless access list (WACL). Added option to upload UAM profile as file. Fixed VAT calculation rules for companies. Fixed missing channel width in device list. Fixed ‘HW reset button’ value in network and device. Fixed Maps, network info: sync info with counters on the network header. Fixed browser back button glitch after logon or logout. Refactored Alert messages using new library (toaster). Network list API endpoint optimizations to exclude not used data. Improved ugly channel visualisation when device has only one radio. NOTE: full feature set available with NFT SW v7.60-1 or later. Added wireless clients statistics with total counters and history up to 50 last sessions. Fixed WPA Enterprise VAP configuration on bridge network. Fixed Greece country code selection issue. UAM portal secret is not mandatory. 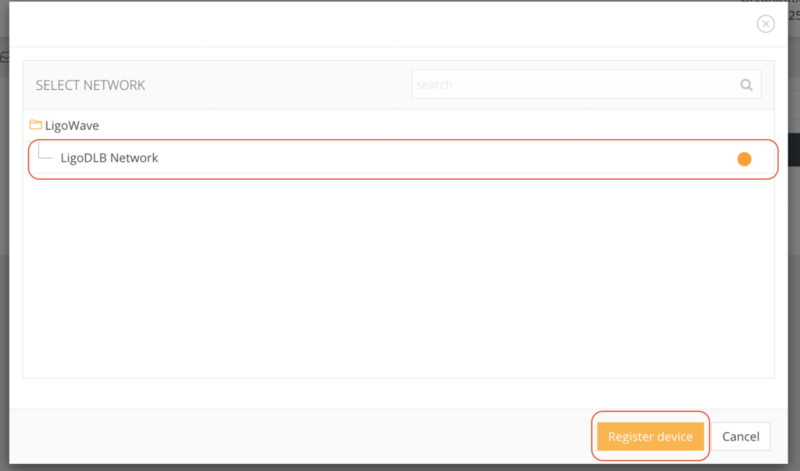 Added various input fields validation error messages. Added channel width in network device table and device dialog. Added an error message when Telnet and SSH ports are the same. Fixed network devices list for mesh and hotspot scenarios (extra column each). Channel info is shown in the network device list. Fixed can’t change configuration per device. NOTE: full feature set available with NFT SW v7.54-6 or later. New design and layout for Network configuration section. Added SNMP service control to network services section. Added possibility to set custom DNS servers at WAN section in “Mini hotspot” network scenario. Added channel selection inside individual device configuration dialog. Fixed notifications when virtual AP limits are reached. Fixed notifications when adding new devices by MAC address list to the network and there are already registered MAC addresses. Fixed radio scheduler time format to support time from 00:00 to 24:00. Fixed error message when country code does not support 5GHz. Fixed incorrect warning message when changing country code. Fixed problem when device receives reversed time zone value from controller. Performance improvements to load data faster. GUI layout improvements to better fit small screens. Changed dialog with notification message for unregistered devices. Added four layers support in the network section. Added client count column on main device table. Fixed Maps, network info: missing info what counters are displayed. Fixed new users creation, when some groups are empty. Fixed HotSpot network: corrected validation on Welcome URL. Fixed negative device amount in organization settings. Fixed cloud controller does not show IP address on device in Easy mesh network. Fixed it is not possible to enable 5GHz radio when it was disabled. Fixed “Hotspot profile updated” message is displayed, but nothing happens. Fixed double error message on wireless settings in Hotspot network. Fixed cannot update device configuration once Device name is set to automatic. Fixed issue when controller allows to save management and data VLAN with same ID. Fixed issue when automatically set device name starts from _2. Optimized and improved controller system performance. Improved drop-down’s length per device in graphs’ choice. Improved validation on Welcome url for Hotspot network. Improved client table on device: no gap between MAC and IP. Improved static ip address range validation. Improved validation of min/max values, which have manipulation via up/down ‘arrows’. It is not allowed to move device into the same network. Improved device sorting by uptime. Improved google maps responsiveness with 20+ devices per network. Google Maps added for visual devices representation. Group assignment to parent group issue fixed. Wireless client listing fixed for the Network section and the table (not all clients were shown). Second SSID with data VLAN fixed on bridge AP (mini-hotspot scenario). VLAN indication on UAM wireless profile fixed (mini-hotspot scenario). Incorrect indication of connected client number fixed (mini-hotspot scenario). Firmware version indicator added to the single device configuration section. Firmware version upload check added. “Cancel upgrade” button removed from when the firmware is already updating. Additional information/warning added for when deleting a Network with active device. Confirmation for resetting a device to its default factory settings added. 2.4GHz Spectrum Analyzer selection option removed from devices that do not support it. Added Automatic firmware selection added to drop-down menu for devices upgrade. NOTE: full feature set available with NFT SW v7.54-5 or later. Option to disable management VLAN wirelessly added. Indication, signifying devices are scheduled for a firmware upgrade, added. Option to add offline devices to the queue for firmware upgrade added. 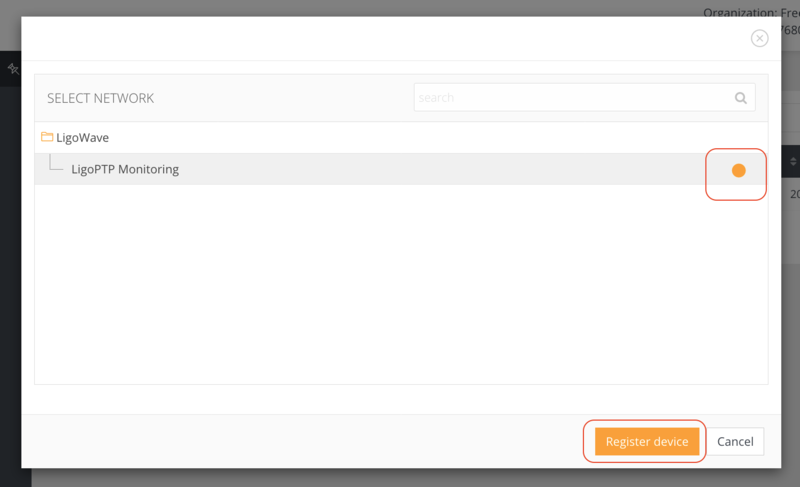 RADIUS failover server support added. NFT controller backup fixed (some system files were missing). Repeating refresh fixed on Closed device settings. Radio scheduler validation error fixed (even if the feature was disabled). Issues with information about offline devices missing fixed. Device button status fixed in the Devices menu. Device tool capability information fixed in the Channels tab. Device firmware upgrade validation fixed for when the device has a newer firmware version than the NFT controller system. System crash fixed for when devices are being upgraded with a firmware that is deleted from a system. UI elements visual look&feel fixed. Current operating channel added to Network Channel tab when “Autochannel selected by device” is enabled. Visualization improved for radio scheduler. Network search using Organization or Group ID improved. Device ‘Uptime’ changed to ‘Last Seen’ information while the device is down. Wireless clients tab column renamed from “MAC” to “Client MAC”. Firmware upgrade notification messages improved. Sorting by device status added. Validation improved for when deleting the Mini hotspot profile. Network scenarios added: Office/Home LAN, Hotspot. 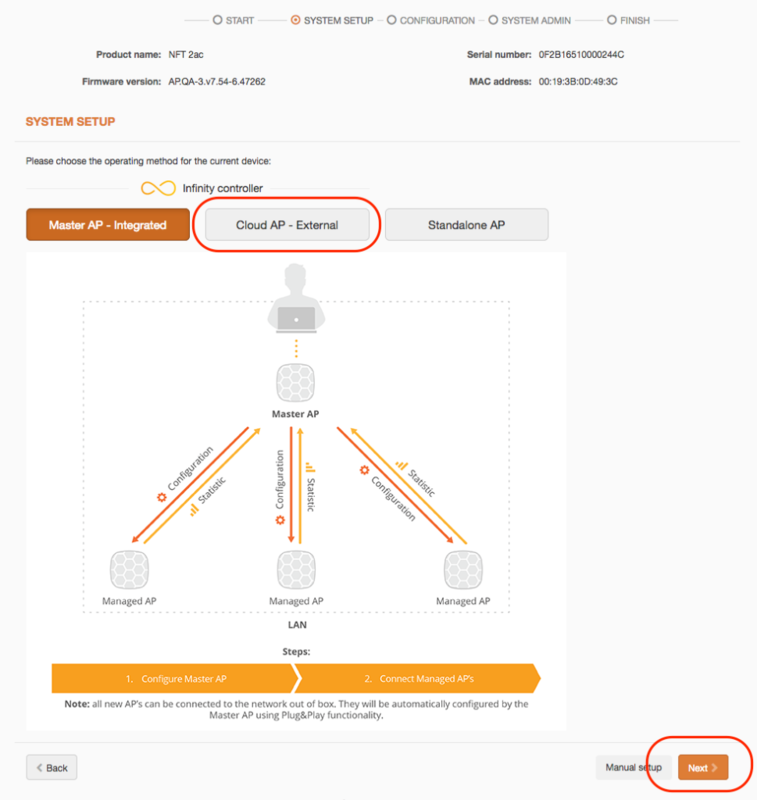 VLAN configuration feature added for NFT 2ac/3ac products. Hotspot profile tab added for global UAM settings configuration. Mixed mode and WPA2 only selection added to the wireless network profiles. Option to override hotspot black/white lists added. Option to disable/enable the reset button added. Validation of ‘Start upgrade’ time improved in the radio scheduler. Network and group statistics updates fixed on GUI. Configuration settings fixed for the NFT 3ac for when an 80MHz channel is selected. Super user limitation to change their own password fixed. The default 2.4GHz channel size is set to 20MHz. Requirement to set up two NTP servers removed. Access point info and wireless clients can be accessed from the Devices page. Option to create two-level groups added. Issues with the Spectrum Analyzed not turning off when changing radios fixed. Expanded group collapse once statistics are updated issue fixed. Time input field validation for “Auto firmware update time” and “Radio on/off schedule time” fixed. Fixed Last hour throughput value fixed in dashboard mini-diagram. User permission handling improved by allowing to assign permission for a group only, not network. Most active networks (by client count) display in dashboard improved. Unregistered device list added for network manager user type. Individual organization IDs added for Free Cloud users. Device discovery is now always enabled. Traffic shaping per VAP added. Option to move the device to another network added. Option to use a native-based device auto-channel function instead of the controller-based one added. Daily automatic firmware upgrades added to schedule. Network config copying option added. System alert (SNMP traps) configuration added. Option to disable Ethernet LAN ports added. Device, network, and user count limits added to network groups. Automatic firmware upgrade, if hidden features are available, added. Option to configure whether the uploaded firmware will be visible to all users added. Option to disable VAP for individual devices added. Mini- and normal chart inconsistencies in dashboard fixed. Issues with first data points always being zero charts fixed. Most active network table renewal issue fixed. Throughput measurement units fixed in dashboard. Wireless profile save issue fixed for when some fields are left empty. Network config saving issue fixed for when a county with no 80MHz (5G) bandwidth is selected. 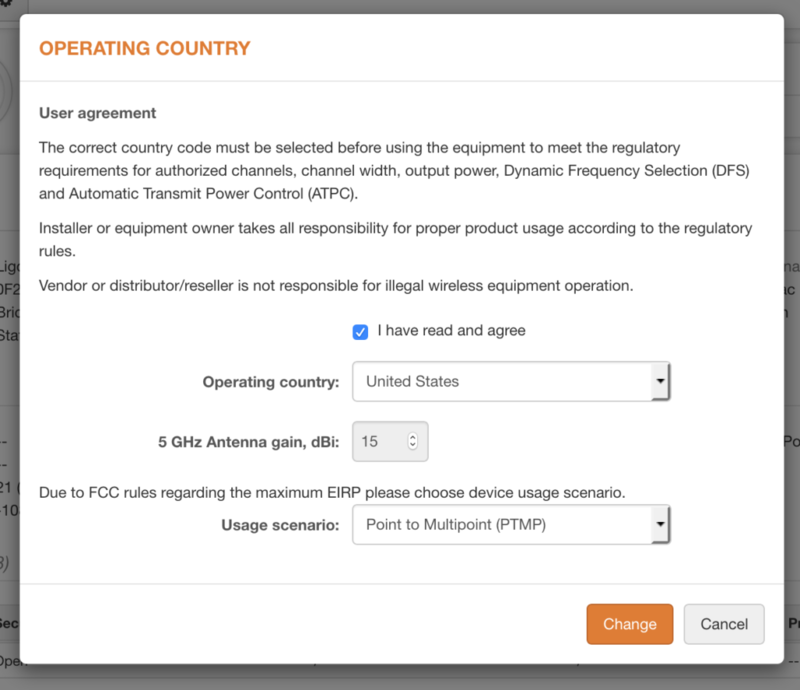 Tx-power config saving error fixed with countries that do not have a 5GHz frequency band. Fixed Issues with missing expansion button after a network search fixed. Cloud stability and performance improved by migrating all users to a single organization. Network search added to Device Registration page. Unregistered device count added to the Registration page. 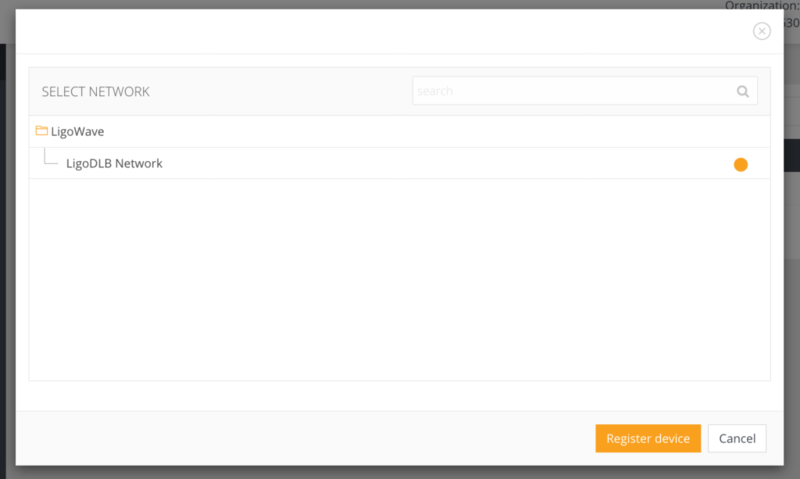 Pagination added for network list in the Registration page. Multiple device firmware upgrade option added. Network manager and network monitor user permissions added. Troubleshooting file download tool added to network and device. Reset to default settings option added. Quick-access drop-down menu added to the Network page. Serial number and radio MAC added to device info modal. Option to postpone firmware upgrades added. Instant data renewal added to network table. 5GHz radio handling fixed for when a country code does not have a 5GHz frequency band. IE10 select option issue fixed. Modal handling fixed for when using the browser’s back button. Issues with being able to create multiple organizations by accident fixed. SSH and Telnet port configuration fixed. Date selection fixed in Firefox. Settings validation issues fixed in WPA-Enterprise configuration. Issues with devices showing up in the unregistered list incorrectly fixed. Auto-channel selection improved to always use the maximum available channel width. Device uptime value representation improved. Device Rx/Tx value representation improved. Dashboard improved with new graphs and counters. Device radio configuration improved to be in a single tab. Responsive design improved in most pages. Product name added to device inventory table. Option to override SSID on individual device added. ‘Leave organization’ button fixed on small resolutions. ‘Superadmin’ menu responsive design fixed. Channel width info fixed in channels table. Product name and device IP information added to Registration table. Landing page added for cloud version. Tooltip added to organization name. Organization management and exporting to Excel options added. All client table added to dashboard. 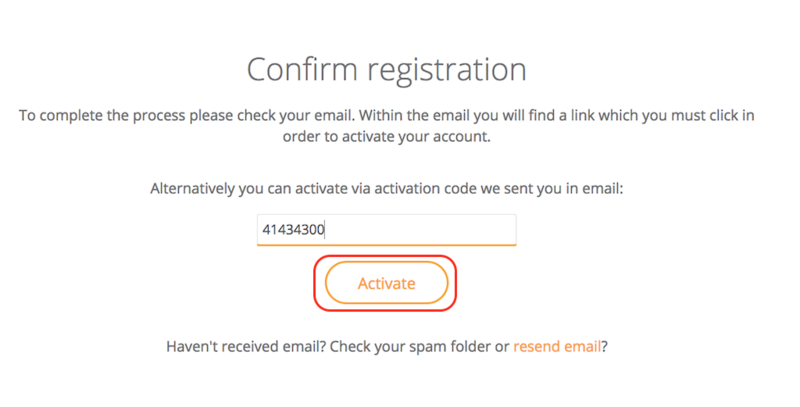 User password recovery via email added. Issues with device friendly name prefix update being too long fixed. Wireless profile frequency change issue fixed. Unsupported CT country code removed. 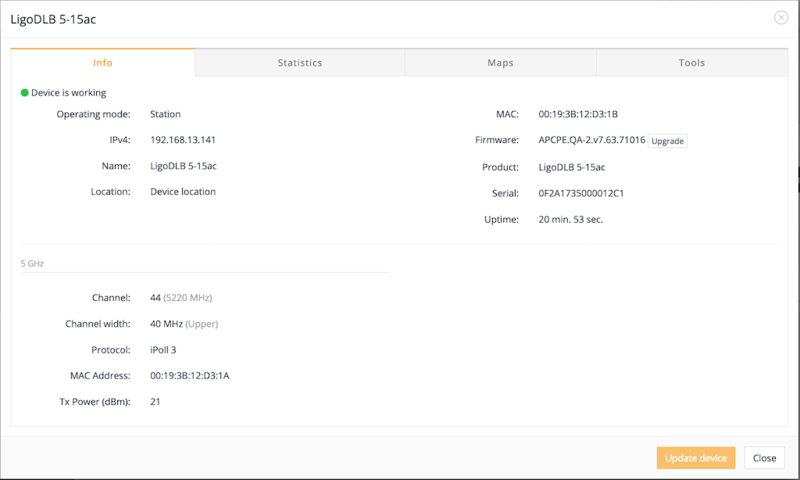 +–How to Add LigoPTP RapidFire Devices to LigoWave Cloud Controller monitor mode? The LigoWave Controller is a software platform for configuring and managing Wi-Fi networks based on LigoWave devices. A LigoWave Cloud Controller trial account is free and supports up to 10 LigoPTP RapidFire devices. LigoWave Controller currently supports only monitoring mode for LigoPTP devices. You can sign up for a free cloud account here. 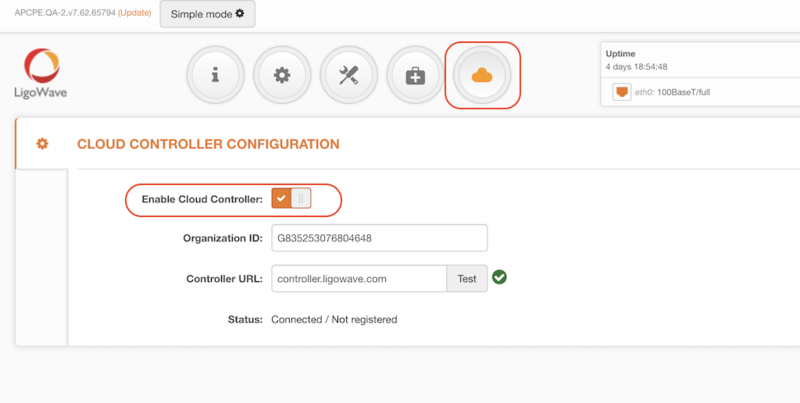 Follow the steps provided below to create an LigoWave Cloud Controller account and to add LigoPTP RapidFire devices to it. Step 11. Add a network name and select the LigoPTP product series. Select the Monitored network type. Monitor mode allows device monitoring only. 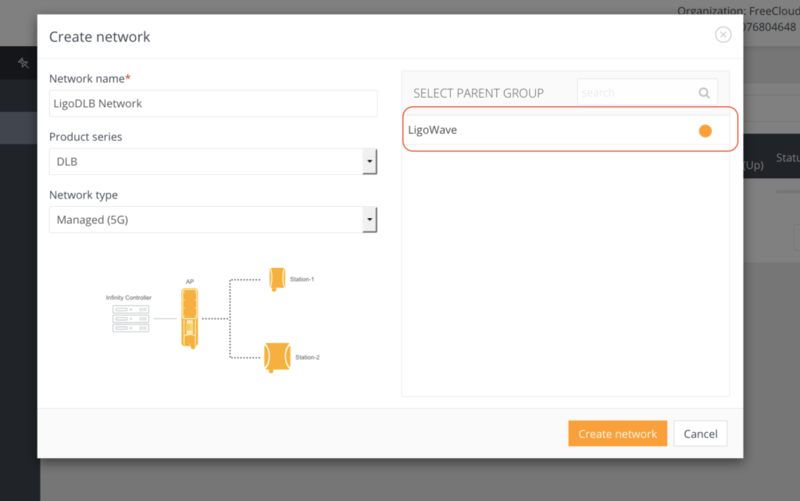 +–How to Add LigoDLB Devices to LigoWave Cloud Controller? The LigoWave Controller is a software platform for configuring and managing Wi-Fi networks based on LigoWave devices. 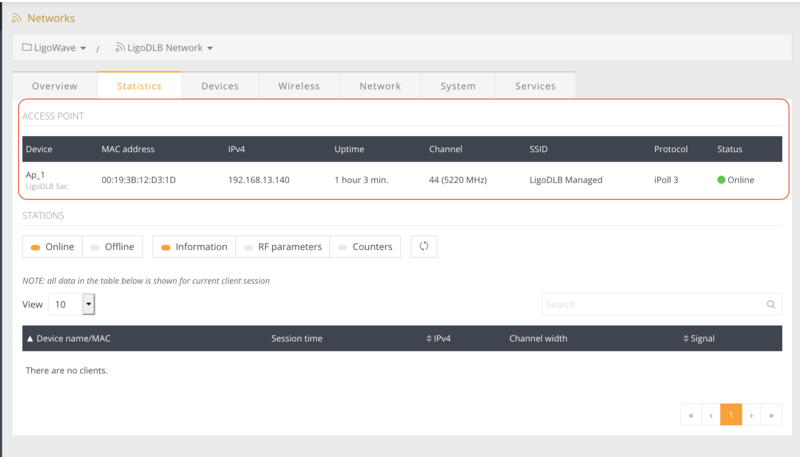 A LigoWave Cloud Controller trial account is free and supports up to 10 LigoDLB wireless access points. Follow the steps provided below to create an Infinity Cloud Controller account and to add Infinity devices to it. NOTE: only 1 Access Point is allowed per network. Mixed multi-point devices are not supported in a single network. NOTE: the first registered to the network device automatically begins operating as an access point (need to plug the access point first). All further devices will automatically be set to operate as stations. 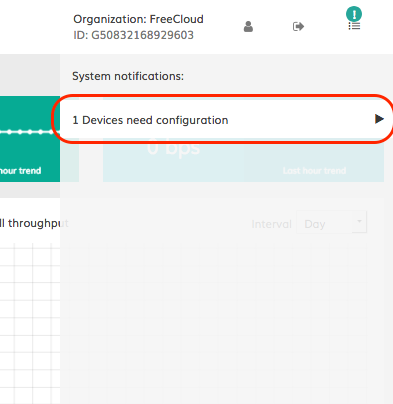 +–How to Add NFT Devices to Infinity Cloud Controller? The Infinity Controller is a software platform for configuring and managing Wi-Fi networks based on LigoWave devices. 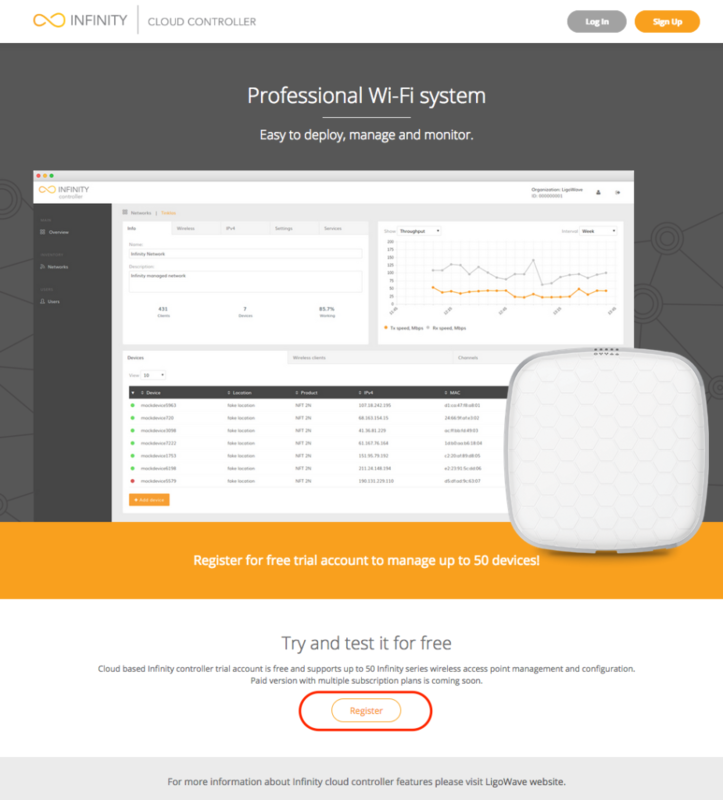 An Infinity Cloud Controller trial account is free and supports up to 50 Infinity wireless access points. Organization ID – enter the Organization ID provided by the External Infinity Controller. Controller URL – specify the correct External Infinity Controller’s URL where the Cloud AP will be registered and managed. Use Test to check the availability of the controller’s URL. 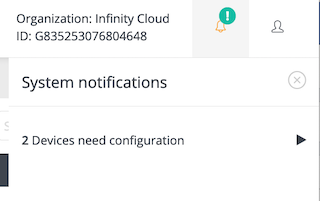 Detailed instructions on how to configure the Infinity Cloud Controller can be found here. +–How to Configure Easy Mesh using the Infinity Controller? 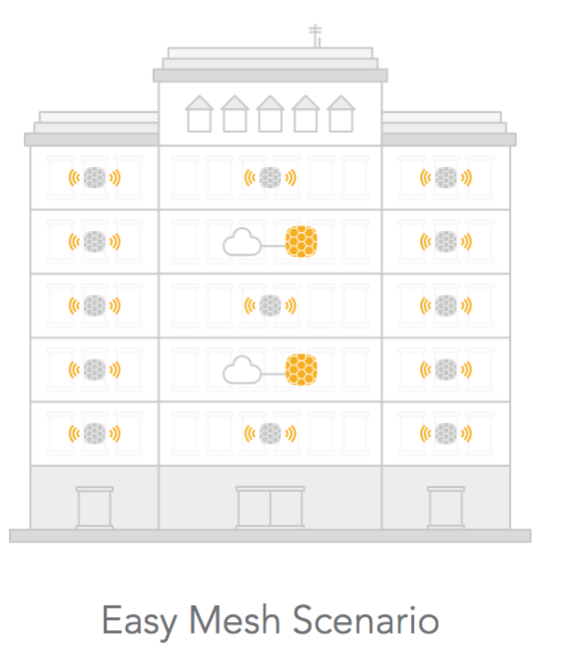 Mesh AP – an AP that has a wired connection to the network and which provides wireless access to end users as well to Node APs. 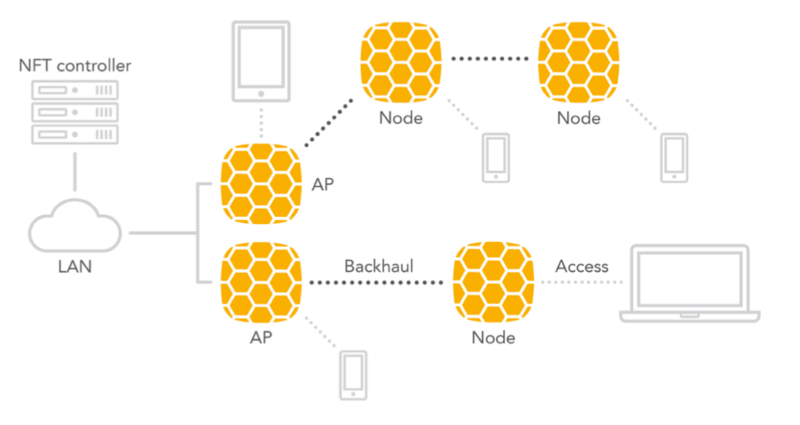 Node AP – an AP that is connected wirelessly to another node AP or to a Mesh AP and which provides wireless access to end users and can serve as a backhaul connection to other Node APs. Backhaul – a wireless connection between APs. Access – a wireless connection to end users.This feature is supported by the External NFT controller only. Any NFT AP (including LigoDLB with NFT firmware) can be used in this type of network. A single-radio AP creates a backhaul and an access at the same time. A dual-radio AP uses 5GHz for both backhaul and access, while a 2.4GHz radio is for access only. The main idea is to extend Wi-Fi coverage without using wires and to do that in an automated way without manual configuration. The network allows to have several mesh APs. It is recommended to connect no more than 3 mesh nodes into a single chain. The NFT controller has a new network type called Easy Mesh. When the device is assigned to that network, it starts to act as an auto-repeater: if the AP has a wired connection, it will create two VAPs for access and backhaul; however, if the device has no wired connection, it will create an additional virtual station interface and will look for an access point with the “Backhaul” SSID. Every device should be activated this way from the controller to work under an Easy Mesh scenario. 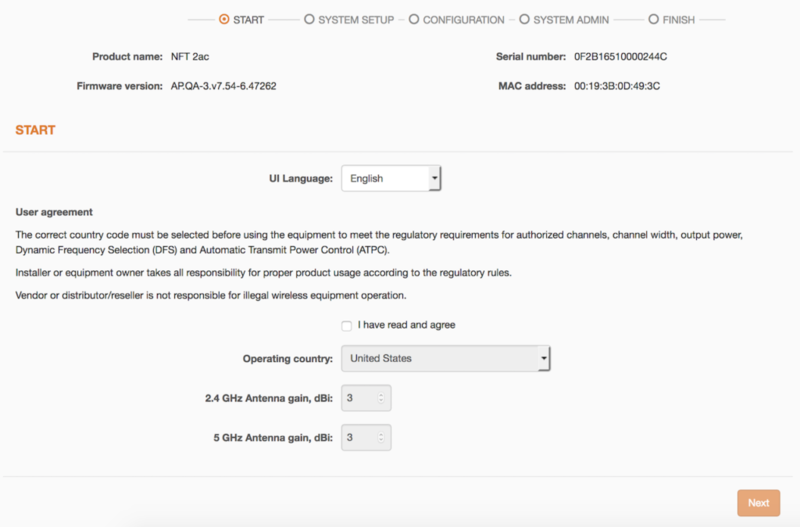 The NFT controller creates two open SSIDs by default, but the name and security settings can be changed.UAM is not allowed. 2. Change the SSID name (if necessary) and turn on encryption (highly recommend). 3. Register all devices onto the Easy Mesh network. Wait several minutes until all of the devices assume the AP type. 4. Leave at least one AP with a LAN connection. The rest of the APs can be placed in locations that will not have a LAN (Ethernet) connection. After several minutes, the APs without a LAN connection will become repeaters and will appear as Nodes in the controller. 5. The network should now be ready for use. In the above example, two Node APs are connected on AP_2, while one Node AP is connected on AP_4. 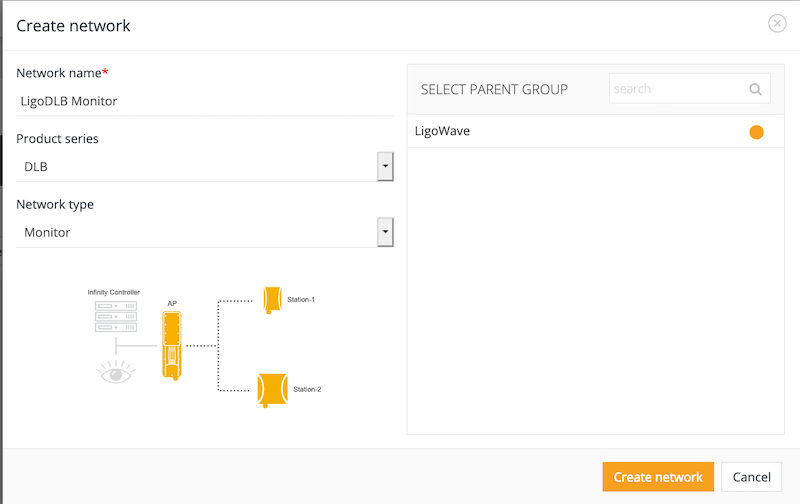 +–How to Configure LigoDLB Devices using LigoWave Cloud Controller? Step 4. Select the width of the operating radio channel. The LigoDLB supports 5, 10, 20 and 40MHz channel widths. Hide indoor channels – use the slider to hide or display indoor channels. Non-standard channels – select to enable non-standard channels. Non-standard channels have 5MHz channel steps, therefore some center frequencies will not be valid with 802.11 specifications. This feature may interfere with other networks and may not support all a/n standard clients or Access Points. Channel table – select the channel(s) over which the Access Point will operate. If more than one channel is selected, then the autochannel feature will be enabled. 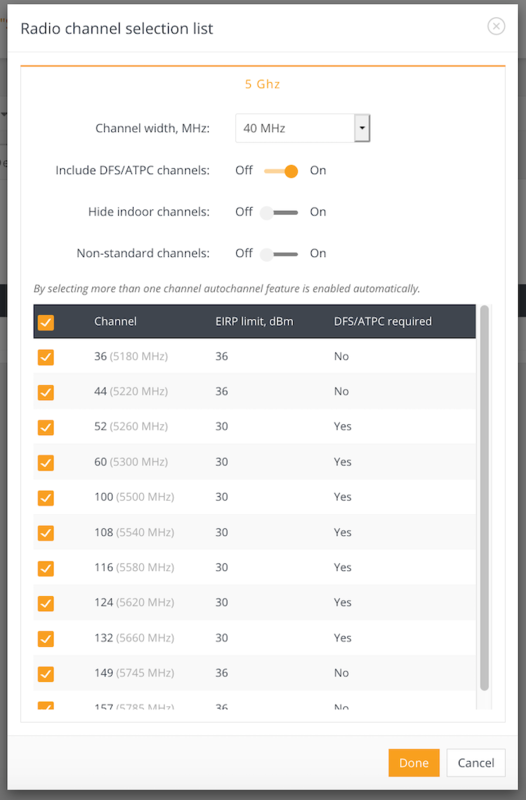 Automatic channel selection allows the AP to select a channel that is not used by any other wireless device or, if there are no free channels available, to select a channel that is the least occupied. The table displays detailed information about each channel: TX limit, EIRP limit and DFS or ATPC. Step 6. Navigate to Network to specify the management VLAN ID, if it is used in the network. The IP method cannot be changed—only Dynamic is allowed. When you specify a new management VLAN, your HTTP connection to the device is lost. For this reason, you should have a connection between your management station and a port in the new management VLAN or connect to the new management VLAN through a multi-VLAN router. NOTE: the first device that is registered to the network is automatically set to operate as an access point (need to plug the access point first). All further devices will automatically operate as stations. NOTE: Unplug the Access Point LAN cable and connect it to the first station that will be added to controller. NOTE: All other registered devices will be automatically set to operate as stations. 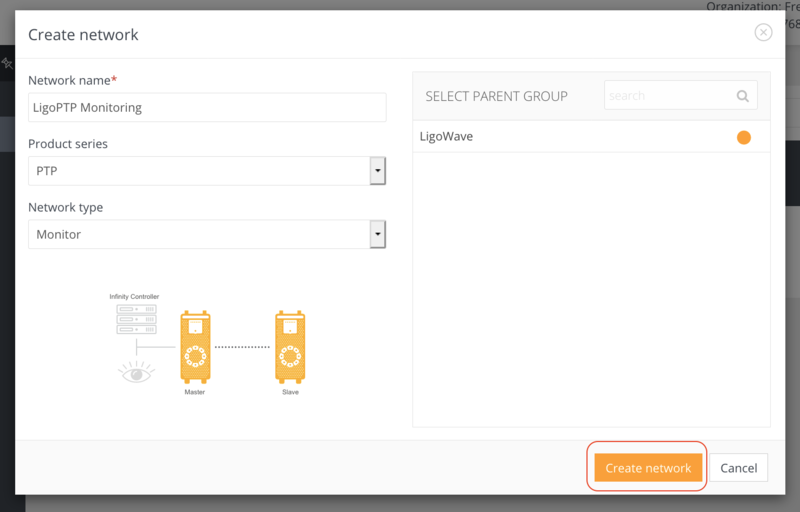 +–How to add an existing LigoDLB network to the LigoWave Cloud Controller? Before registering an existing LigoDLB setup to the LigoWave controller, check if all applied configuration parameters are available on it. Currently, configuration parameters are limited to basic settings only. The iPoll 2 protocol is not supported. Only the Dynamic IP method is supported. Not all services and parameters are currently available. Step 1. 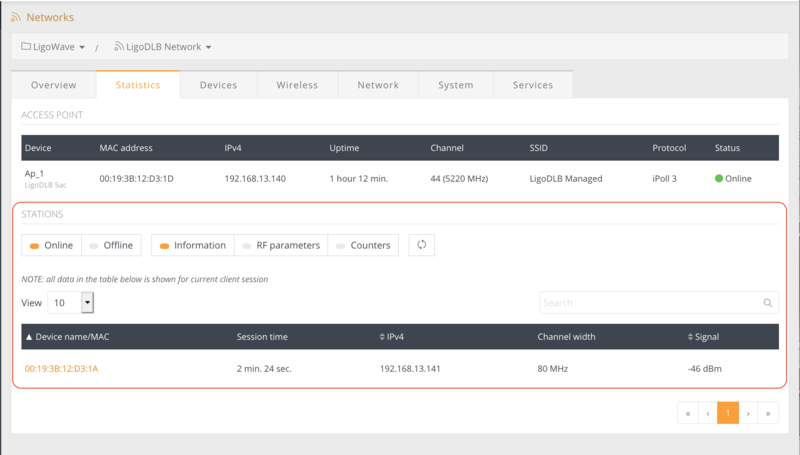 Configure the network on the Controller with the same network, wireless and system settings as they are set on the LigoDLB devices. Step 2. First add the Access Point to the network as the first added device and the Controller will be automatically set it as the Access Point. Step 3. Wait until it is configured and a green indicator appears on the Controller. Check if the stations have connected back to Access Point. Step 4. Register the stations to the Controller one by one. The operating mode on the devices will automatically be set to Station by the Controller. 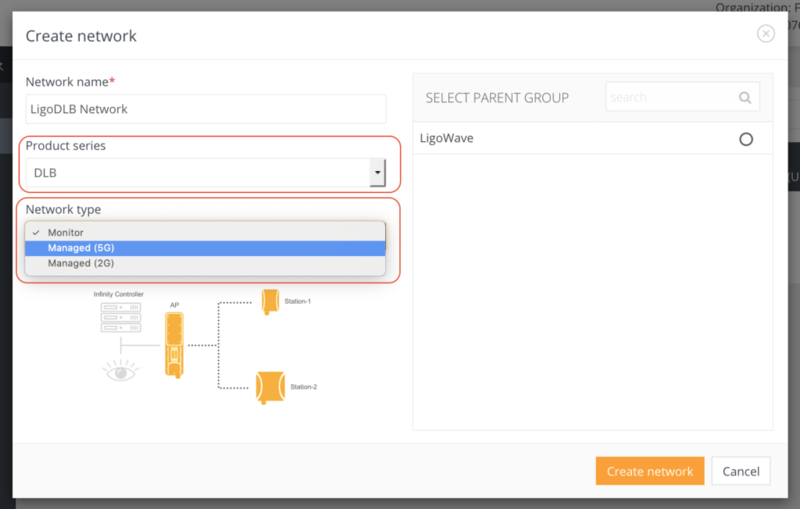 +–How to add a LigoDLB series devices to the LigoWave Cloud Controller monitor mode? The LigoWave Controller is a software platform made for configuring and managing Wi-Fi networks based on LigoWave devices. A LigoWave Cloud Controller trial account is free and supports up to 10 LigoDLB wireless access points. Follow the steps provided below to create an Infinity Cloud Controller account and to add LigoDLB devices to it. Step 11. Create the network by adding a Network Name, setting the Product Series to DLB, setting the Network Type to Monitor, selecting the Parent Group to which the network will be added, and click Create Network.